Not everything we write is good, but even “bad ” songs can still heal us. 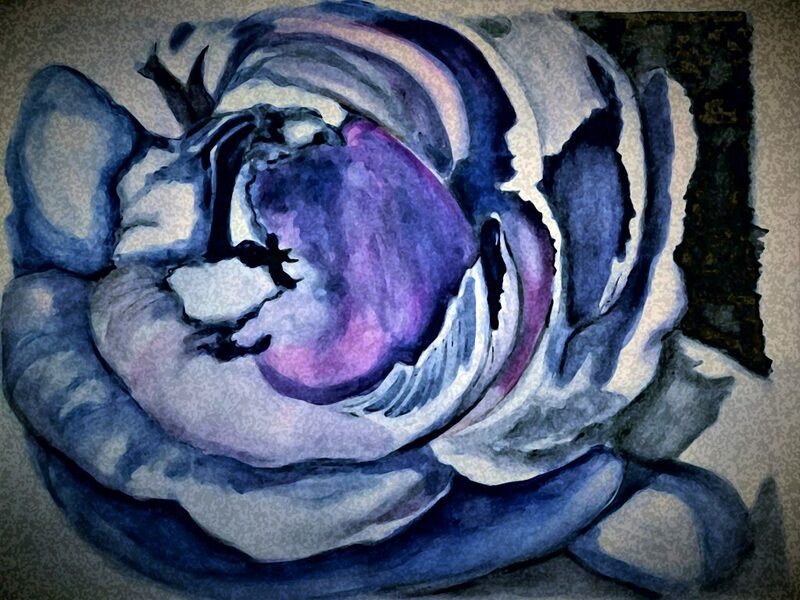 “Fabric Rose” multimedia painting by Lahle Wolfe. It was 1997 and I had recently begun playing guitar again after almost two decades of no playing. It was good timing — music became an emotional outlet for my anger (and fear) as I worked through difficult decisions and painful emotions. This was the eighth song I wrote as my marriage was collapsing into a bitter heap trying to sort out what I wanted from what I did not want. One of the things I learned early on was that we often cannot have what we want. I wanted a perfect marriage and a loving home for the children in which to be raised. That path took a wide turn and so I had to adjust my sails. None of my early songs were good. They were not about being good; they were just about getting my feelings out where I could examine them more clearly. What can I do to make you be good to me? How can I make you leave? And I no longer dream of you.